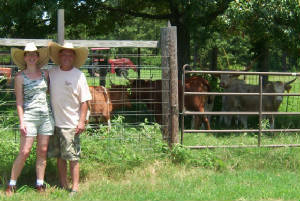 Visit our Ranch & Look at our Longhorn Herd. 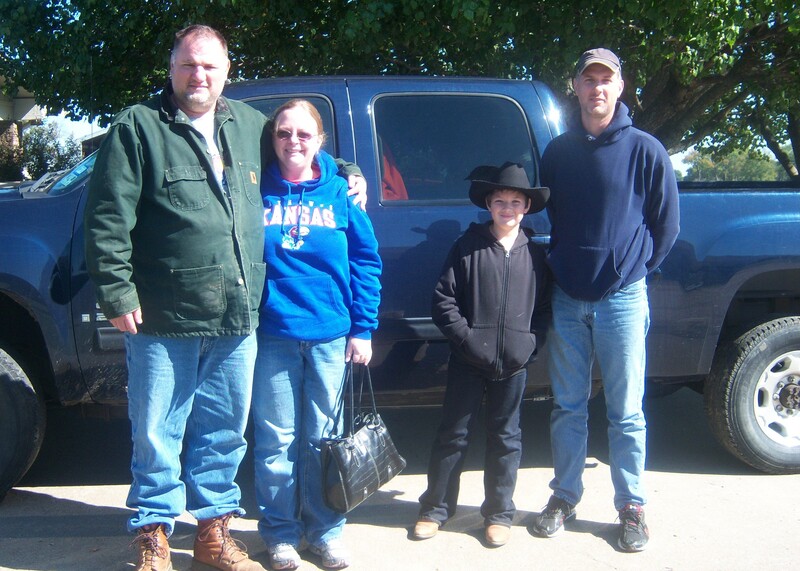 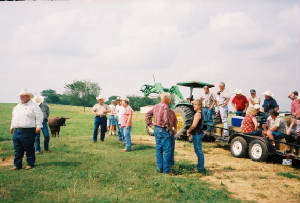 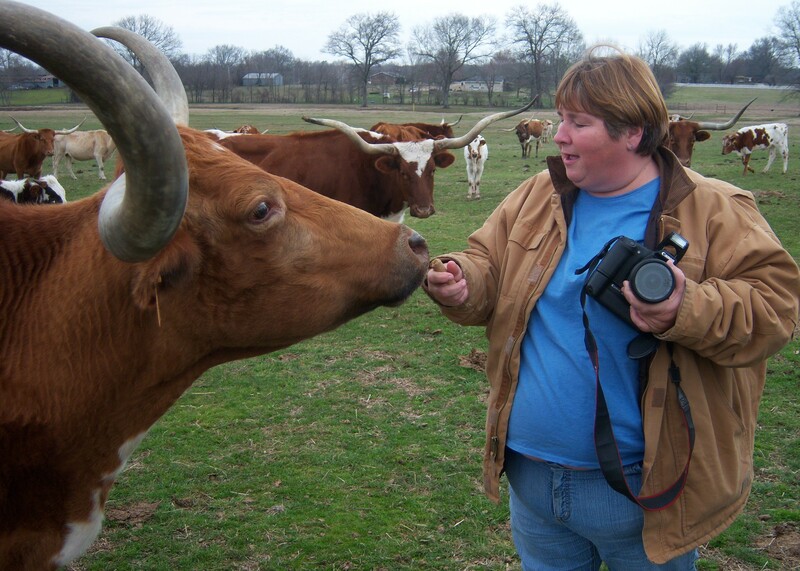 We were priviledged to have Dianna Dandridge, Staff Writer for Sequoyah County Times come to our ranch Feb. 17, 2012 to do an interview for an Article about our Longhorn Cattle. 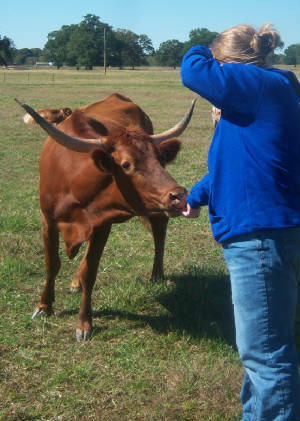 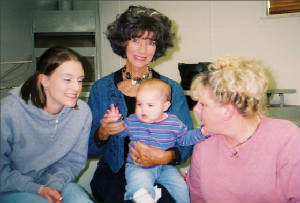 As you can see, our Longhorns were as happy to meet her as we were. 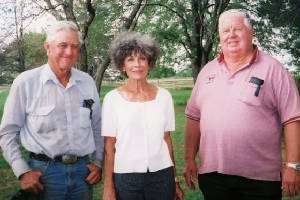 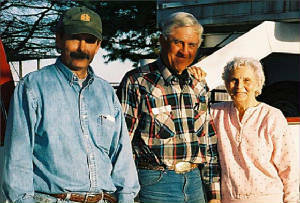 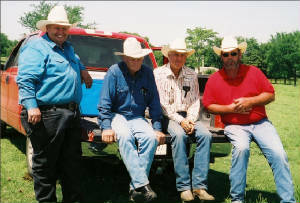 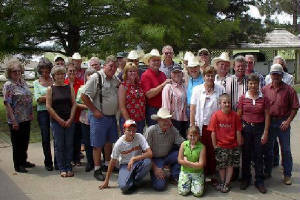 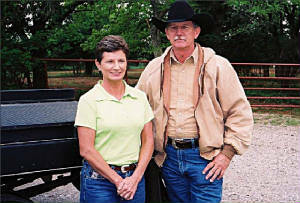 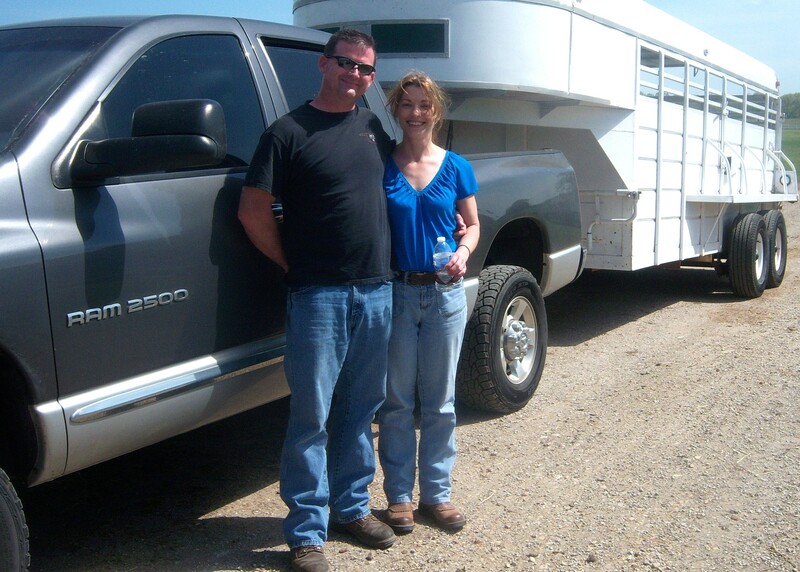 Above is Well Known Western Artist from Nebraska, JF Policky & wife Cathy in 2010 when they came to buy some of our Longhorns. 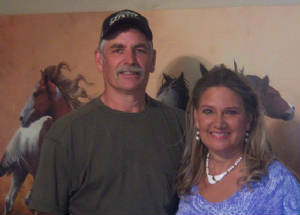 We were honored that he brought us some of his Art Work. 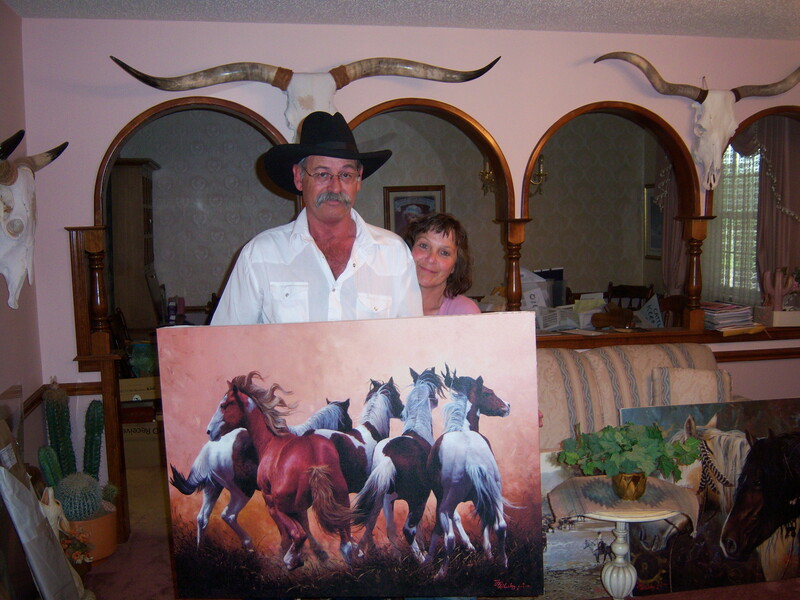 He is holding a 30" X 40" stretched canvas print of his painting "Hasta La Vista". 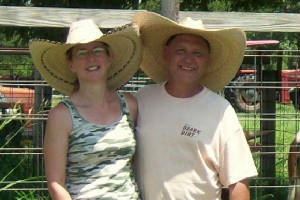 We also have a larger size 46" X 60" of "Hasta La Vista" on our wall. 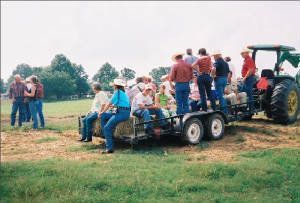 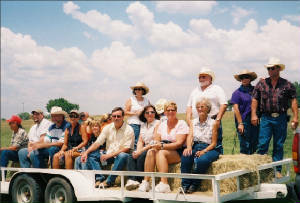 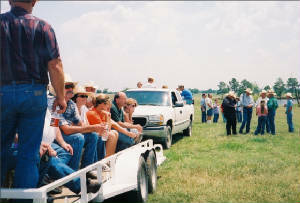 The 2 Photos above are of the Oklahoma Texas Longhorn Association during a Ranch Tour at our Ranch on Hwy 16 West of Muskogee Before we moved to Sallisaw. 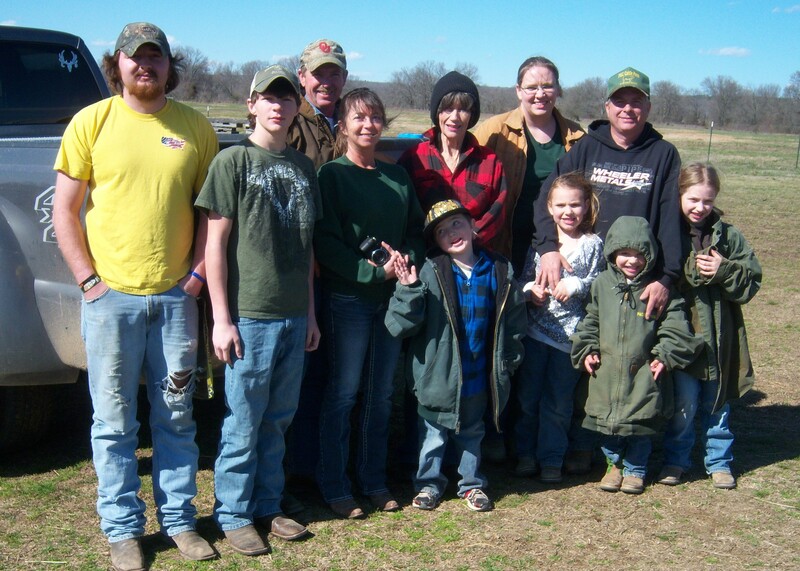 Above is some members of the Indian Territory Texas Longhorn Association at our Ranch for a meeting & Ranch Tour of our Longhorn Cattle Herd. 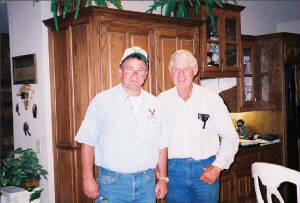 Joe Graddy from Alabama when he came to Purchase LWR KOJAK one of the bulls we raised. 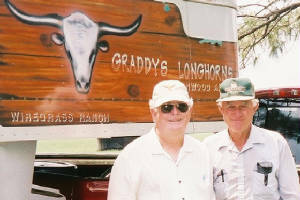 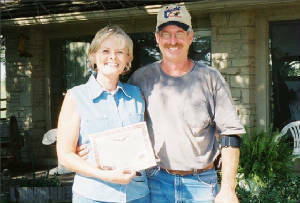 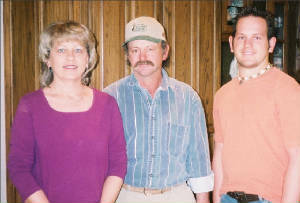 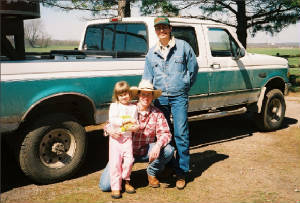 Wayne Forester, when he flew in from Florida to buy some our Best Longhorns in 2004 when we still lived on our ranch on HWY 16 which was West of Muskogee 20 miles . 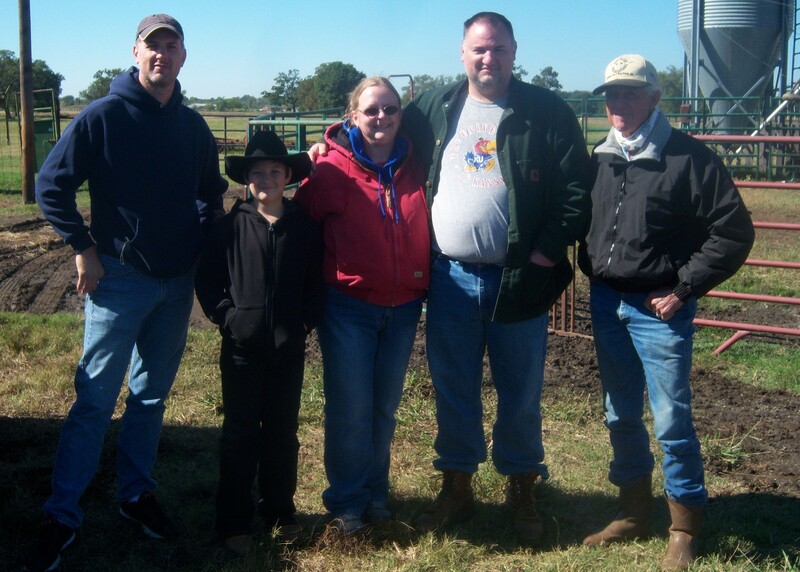 some of our Longhorns from our ranch here in Sallisaw to add to their herd..